Google plus as we all know that it its the leading social networking site. As many users active their accounts on Google plus. As the name suggests +1, it refers that this site is partially better than others sites. You can easily sign up their if you don't have an Google plus account. Today's post is based on What are the important tips of Google plus for SEO (search engine optimization). Google plus is a site where you can share your thoughts, ideas and your blog articles. Even Facebook and Twitter are essential to marketing efforts, both restrict Google from accessing much of their data. 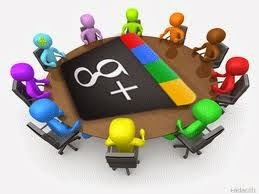 Google plus is consider to be used at the number of times by users for online promotion. As we all know that the words, language and keyword you are using for your article is very important. The first word of your post is reflect the description of your whole post. Make sure your heading and title of the post is attractive and eye catching. Use the highly targeted keywords for your post. This is an important tip and method to take an advantage of Google for SEO. Google plus not only allows you to link up to your other profiles across the globe, but you can embed the followed links directly into your profile bio with the anchor text. This is an easiest way of promoting and advertising your articles throughout the world. Write the articles and publish on your blog or site. After that you can promote it on your Google plus profile. 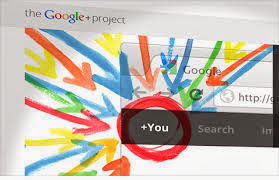 All the content that you spread on Google plus will spread all over the glob easily. Just follow other and others will follow you back. As we know that title are the most important part of any article. Whenever we post an article on Google plus, the title must be attractive, unique and eye-catching. The title must be ranking and try to grab highly targeted keywords for your post. Note- A shared article with a good heading has an excellent chance of ranking for its given keywords. This is an great feature of Google plus. 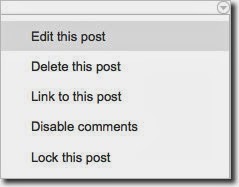 You can edit your article and post at any time. Google plus is only the site where you can edit your post in unlimited times where as these features are not available on Facebook and Twitter. In Facebook you can edit post in a limited times whereas in twitter, once you update the article then you can only delete or remove it. An blogger can update the title tag and any attached media as well.